It is a privilege to announce that Newkidz on the block have been chosen by Game Stores as their beneficiary of choice for the 3rd year in a row to identify beneficiaries to be the recipient of new toys collected by shoppers. 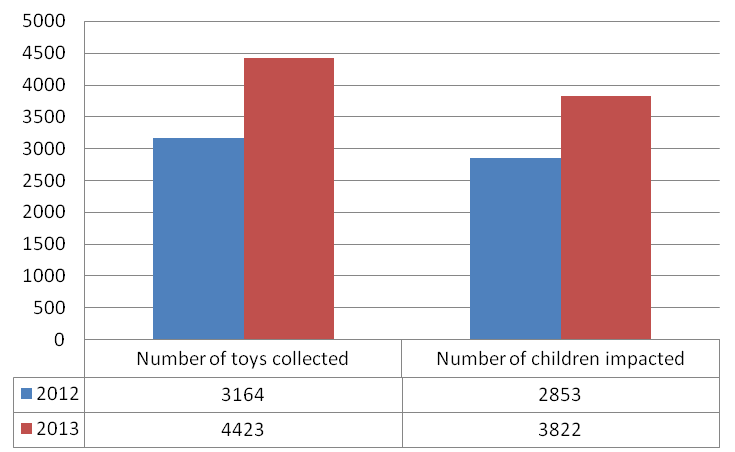 Last year this campaign exceeded all expectations and this year the target has been set at 6000 toys! The campaign was launched at the Heart 104.9fm studios on Friday the 3rd October and will reach a grand finale with a colourful cavalcade of Harley Davidson motorbikes; members of the Emergency Services; representatives from Game Stores and Heart 104.9fm at the Red Cross Children’s Hospital on Thursday the 18th December 2014. We are encouraging EVERYONE to buy a NEW toy and place it in a Toy Story box which can be found at all participating Game Stores. Newkidz on the Block are responsible for the collection of the toys; sorting; recording and repacking them according to the beneficiaries to ensure that each child at these centres receives a NEW toy this Christmas. Newkidz on the Block’s mission is to create awareness and support of orphaned; vulnerable and destitute children in the hope that many of them can be integrated into loving family homes. We trust that throughout this campaign we will be able to spread the word and encourage hosting; fostering and adoption as we believe There Is No Such Thing As An Unwanted Child; Just An Unfound Family. Let us make this Christmas a memorable one for thousands of children in the Western Cape.